So you may have heard about my Diabolical plan I am going to steal borrow a Zeppelin before Deathwing hits in Cata and try and find somewhere safe to hang out, until the big event happens. So I thought I’d better test it, just to see what sort of problems we would have. I was around Undercity, so I thought to hit one of their towers, and I managed to clear secure a tower, which was quite simple and I waited patiently for the Zeppelin to return. His respawn rate was horrible, and the whole journey I fought him off, kill after kill after kill. Bloodied, and exhausted from my combat I wiped his blood off my face, only to reveal that I was in Durotar. As soon as I got to Durotar I was pushed off their Zeppelin tower and chased by a bunch of goblins – of course they died, and I made my way cross the barren red rock, avoiding the horde to travel to their Outland Tower. 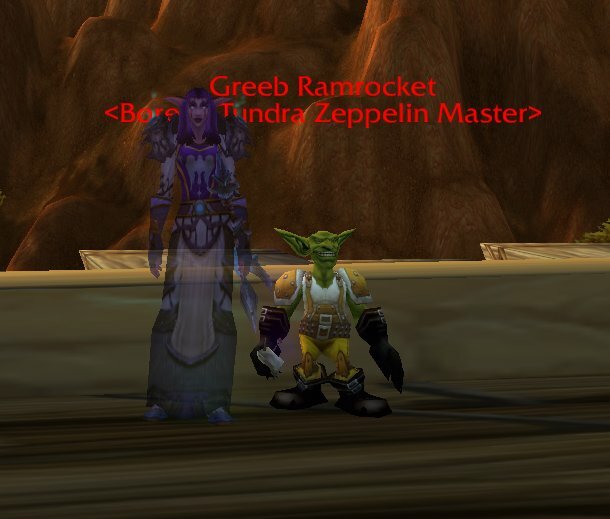 I cleared offending mobs, and posed for a pic with the Zepplin Master who was quite happy to be in the company of such an esteemed Shadow Priest. See his smile for the Camera. He liked me so much he didn’t try and kill me. It probably helped I slipped him a few gold coins. 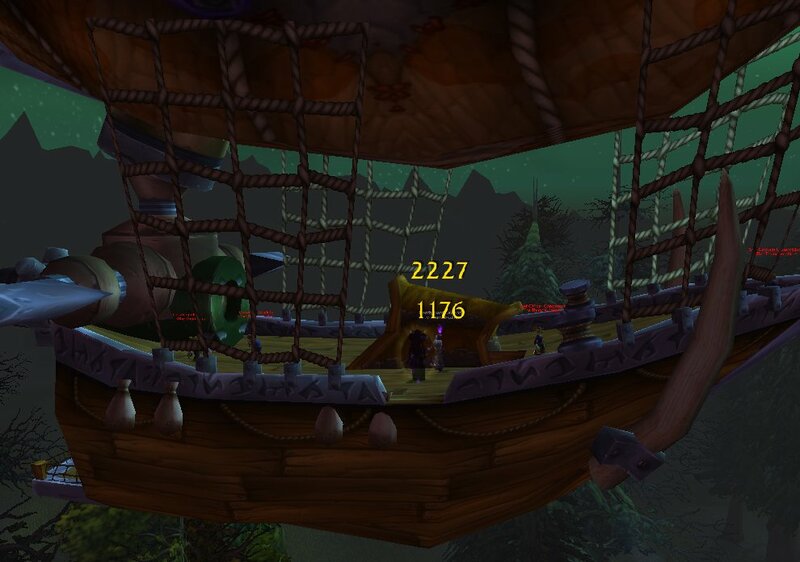 When the Outland boat came, I fought for my life once again, as respawns and mobs tried to wear me down, but I persevered. Until I realized in my excitement. I had forgotten to jump off. I died in Warsong Hold. They had me pinned in a corner, and I couldn’t escape. All I did today was waste time trying to get bosses to drop mounts. Attumen, Mandokir, Mr Tiger, Anzu and Kael all denied my ghouls and my efforts to rob them of precious rides. 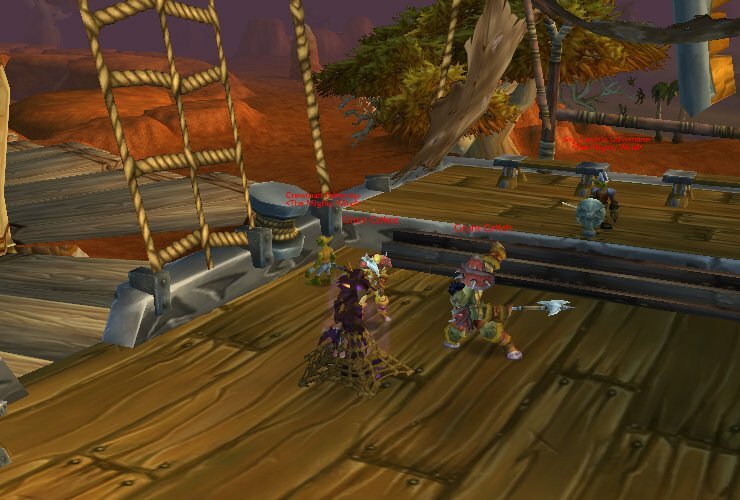 Ship pvp used to be one of my favorite events!!!! 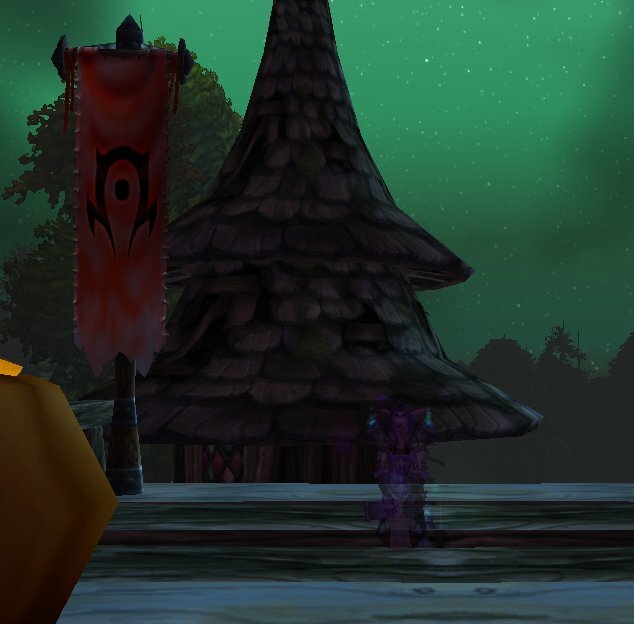 Everytime I go to Warsong Hold I feel like I’ll never escape. (and I’m Horde). It is the most poorly designed piece of crap I’ve ever seen. I dare you to find the tailoring trainer there in less than 5 min. It’s not possible. @Pug. Murderer. 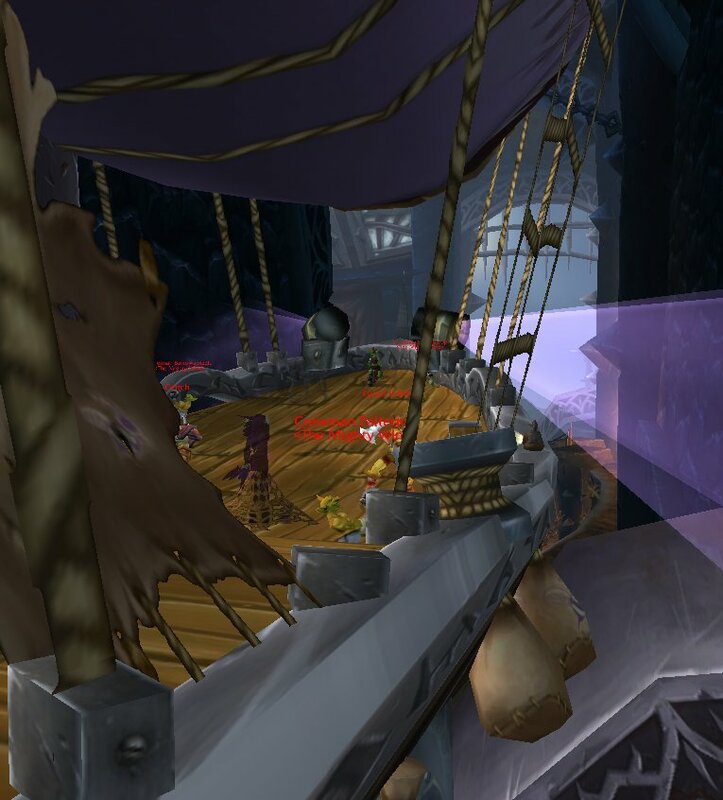 I will go and destroy every toon that steps on a boat tonight for Vengeance, and for the Forsaken! What you need, I reckon, is a warlock to get their succubus to seduce Mr Ramrocket. Then you could pinch it from under his nose!